In my job as a wildlife educator I like to use myths and stories to highlight previous beliefs about the animals I am presenting. Stories like why the bear lack a long tail, or how the Egyptians actually used crocodiles in their temples. To be able to do my job properly I have to read and investigate these old stories and myths. In my latest endeavour I have been trying to read up on myths, stories and historical descriptions about crocodiles, and while I was doing that I came across a book that set me ablaze. So now I need to vent my frustration about my love-hate relationship with sensationalism. I have scoured a few books and papers now to look for anecdotes, stories and myths about crocodiles, and there are quite a few good ones out there. Right now I am reading a paper by Dr. Simon Pooley which is called “The entangled relations between humans and Nile crocodiles c.1840-1992“. The paper is a short introduction to the relationship between humans and crocs in Africa, and the stories that follow that relationship. It is un-biased and not very exciting. 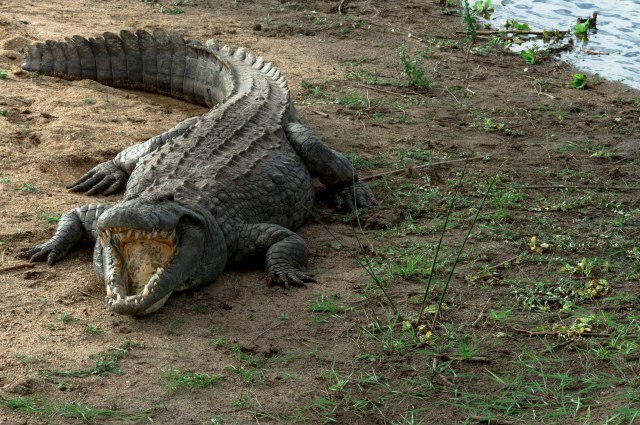 Unless you have read the jaw dropping horror stories that surrounds crocs before you read Dr. Pooley’s paper. Now a question may appear, who is right? Are one side lying? Is someone hiding something, or trying to gain something? WHO should you believe? 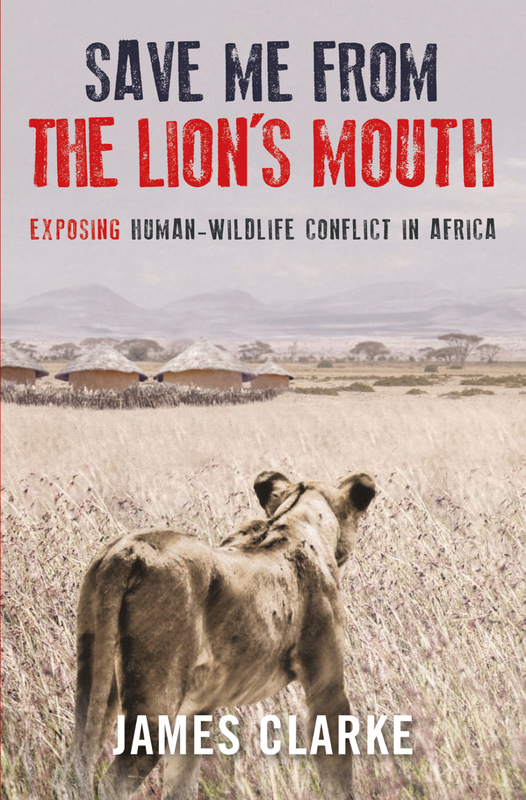 A book that takes aim to EXPOSE the human-wildlife conflict (HWC) in Africa. As if HWC is somehow hidden from the public eye. Okay, so I am not a fan of the title, the book may still be good. Well, James Clarke is an English writer born in London. He has been living in Africa for more than fifty years and he has written both books and articles on African wildlife since the 1950’s. This man should be a heavyweight in this field. Nonetheless I cannot find myself to trust his writings. Throughout his book he references well-known journals, reports and scientists, but from time to time he makes bold claims without referencing to actual science other that what he believes to be true. One example is “Lindi is a coastal town where slaves were taken in the 17th, 18th and 19th century, which suggests a genetic predisposition for man-eating that goes back to the slave trade”. This is a paragraph that immediately follows an account from Lindi of 24 people being killed – and some eaten – by lions between 1999 and 2000. This is a claim he makes without any reference to any science on the topic. A quick search online shows that genetic studies of known man-eaters, such as the Tsavo lions, show little to none genetic difference that could explain this behaviour when compared to other lions (Panthera leo) in Africa. Claiming that these lions kill humans because it is embedded in their genes is pure sensationalism and a strong contributor to further demonising the large predators. The author himself is not trained in natural science, but when he sometimes does feel the need to back up his claims he refers to his daughter who is a trained biologist. This makes me doubt the legality of his claims even more. Now, I am not writing this to trash James Clarke. His book is actually a good read if you know that you cannot read it as if you were reading a scientific compilement of actual proven data. You have to take it for what it is. A gathering of gory events with a pinch of imagination. Read it like a novel, for fun, and you most likely find yourself enjoying the book (like I did after I figured out how to read it). I have to admit that I am just as big of a fan of sensationalism, and I click on every link that starts with “World’s largest…” or “You won’t believe…”. I love the thrill of a sensational story, but I try to reflect on the contents of what I just read as well, so that I do not accept lies as the truth. Good stories are an amazing way to pass time and let your imagination run wild, that is why I also love reading a good fictional book. Hence my love-hate relationship with sensationalism. I am also not trying to say that you need to have studied natural sciences to write decent books on the subject. But as soon as you venture away from proper facts and start referring to things you believe as factual, then we have a problem. Sensationalising an animal – especially in the case of exaggerating attacks by predators – may rob the animal of its actual identity. What do I mean by that? Well, if you constantly refer to crocodiles – as an example – as brutes and killers, the mind of the public may be swayed in the direction of believing this for a fact. If an animal is only seen for its killing power and not for its particular place in an ecosystem, we might be faced with challenges when we raise the issue of conserving the species. A great example is Discovery Channels “Shark week” which aims to spread knowledge about this great pelagic predator, according to the network. Myrick and Evans showed in their 2014 paper “Do PSAs Take a Bite Out of Shark Week? The Effects of Juxtaposing Environmental Messages with Violent Images of Shark Attacks” that the public became more fearful of sharks after watching clips of sharks attacking prey during the shark week programming. The audience also overestimated the chance of being attacked after watching shark attacks caught on film. The problem of creating fear is that few – if any – want to conserve what they fear. If you have a fear of spiders, you will most likely not be first in line to donate money to save a species of redback spider. It is hard to see the value of a species you despise. My main goal as an educator is to patch up the holes missing in people’s knowledge about predators. It is only when you understand the creature you are faced with that you can react with awe and curiosity instead of scepticism or fear. But I am constantly walking up hill, fighting a losing battle with authors, TV-networks and social media who are constantly carpet bombing the public with sensational stories and videos of people being mauled by predators. I have seldom seen a headline where the story is how cows kill hundreds of people every year, but insert a large carnivore and people start demanding cullings. I hope that one day I may come into a position to tell a larger crowd about the role and the history of our apex predators. Until that day I WILL be fighting my battle against the negative sensationalism of predators. And if I am able to change one person’s opinion about the ecological necessity of predators a day, then I have at least won one round. Looking at that beautiful smile, how can anyone not love these magnificent beings (Crocodylus niloticus)?